Possibly the most powerful of all of The Healing Sounds, the Retained Memory Sounds addresses all of the memories and the layers of memories of memories which have been locked into the cellular structure of the body from the moment of conception of this person and also addresses any of the earlier memories which may be incorporated in the multitude levels of Genetic Ancestral memory. By releasing these stored memories on all the energetic levels [including physically, mentally, spiritually and emotionally] issues and patterns which may have held this person back are released easily and effortlessly. 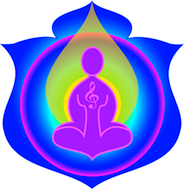 These sounds includes a request for a gentle detox or release of any emotional issues. The Retained Memories Sounds were one of the biggest breakthroughs that Susan and I had, we literally spent days brainstorming why certain issues kept coming up not only for our selves but also for the willing “Guinea Pigs” as we jokingly alluded to the many friends who offered to assist us in trialling each new sound. Many questions followed, and with Susan always asking “why” we became aware that there were levels to memories that we had never ever considered before, that a memory was not just a “memory” that there could indeed be a “memory of a memory of a memory” into infinity. And so the Retained Memory Sounds came into being, creating with in us an awareness of always asking deeper and deeper questions, of not resting on our “proverbial laurels” and of the importance of listening to the messages that we were given. Comment from Susan – I constantly seem to be playing this sound, it is relevant for most situations. It takes the ‘sting’ out of any memory of a situation that it is played for. On another level, memories of past incidents, maybe ancestral or other life times, which are affecting you here and now can also be alleviated by playing this sound. It is very useful if a situation does not seem to be shifting.